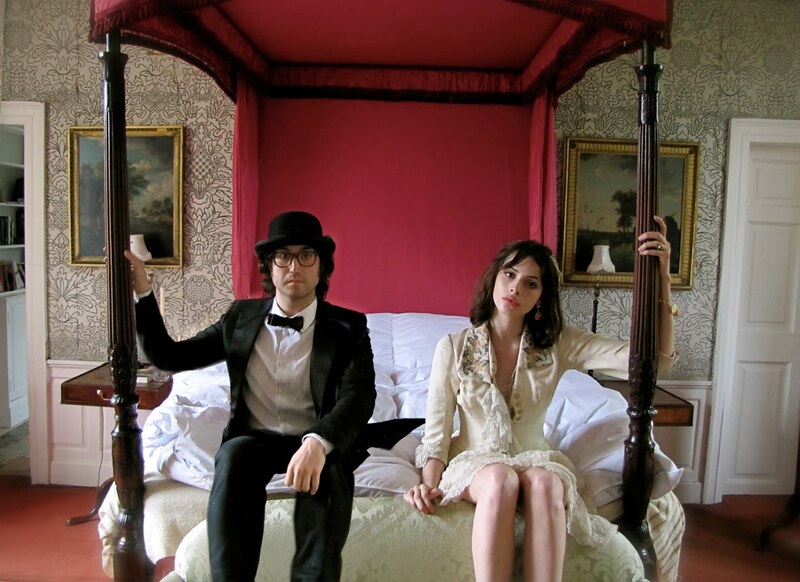 The Ghost of a Saber Tooth Tiger (GOASTT), the moniker that duo Sean Lennon an d Charlotte Kemp Muhl record under, are set to release their debut album. Acoustic Sessions, comes out on October 26 and will be released on the duo's Chimera Music label. Lennon, who is often compared to his legendary father when it comes to anything musical (though I find his approach to his craft more akin to his mother's), along with Muhl has put together a delightful folk record that reminds me of some of the quirky Brit folk from the 60's. The album is full of delicate melodies and charming harmonies which are a treat. The highlights on the record for me are "Candy Necklace" and "Schroedinger's Cat." By genetic default, many insist on imposing unreasonable expectations. But, I think with this record and partnership, Lennon has found his own place in the sun. Acoustic Sessions shows the duo’s love of quirky and whimsical '60s folk pop, reminiscent at times of Syd Barrett, Incredible String Band and Simon & Garfunkel. Sean and Charlotte’s creative minds eloquently draw from what is fascinating about the everyday mundane and bring to the forefront what is extraordinary in the ordinary. Acoustic Sessions carries you from a quaint French café, to a left-of-center universe that feels as if it is out of the mind of Tim Burton. Curiouser and curiouser, GOASTT’s world is a beguiling Wonderland and one stunning debut. For your listening pleasure, we have "Jardin du Luxembourg" in our MP3 Grab below. MP3 Grab: "Jardin du Luxembourg"